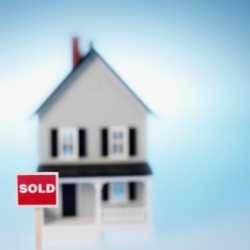 Selling your home is a big financial and emotional task, which requires lots of planning. A real estate agent can help with all aspects of the selling process, from pricing to marketing to handling the intricacies of closing. An agent will negotiate on your behalf to secure the best price – and quickest sale – possible. Looking for an agent who can help guide you through the selling process? Dorn Real Estate would love to help! Several factors go into determining your home’s market value. These include the condition of the property, square footage, location, amenities, as well as recent comparable property sales. Dorn Real Estate offers a free Home Value Analysis anytime so that you can decide if selling is the right financial decision for you. There are several simple, low-cost things you can do to boost the value of your home. We provide our clients with a professional home staging consultation to identify those items in each home. Research shows that well-staged homes can sell up to 32 percent faster than homes that aren’t staged. A properly staged home helps a buyer imagine themselves in their new space — whether they are looking in-person or online at photos. Speaking of photos, we also offer our clients professional photography. We know that house hunting starts online and it is crucial to make a great impression from the first click. The time your home spends on the market depends on several factors, including location and how competitively your home is priced. Statistics show that if a home is properly priced, an offer should come in within the first 12 showings. It is imperative to know and understand your market to avoid overpricing your home and wasting precious time on the market. Our agents will be able to offer an objective approach backed by historical market data to help you decide on the right price. Your agent will be able to explain all of the contingencies of your offer and assist you in making decisions that will best accommodate your situation. They will negotiate on your behalf and in your best interest until a mutual agreement is reached. Our Transaction Coordinator, along with your agent, will walk you through every step to ensure that all contract contingencies are met within deadline. We will coordinate with the buyer’s agent for all inspections and appraisals, negotiate repairs and provide regular updates so you never have to wonder where you are in the process. Closing, or settlement, can be a complicated process. Your agent will be there through it all to make sure you understand each step. We can also provide assistance with finding your next home, preparing for relocation or short term rental options.